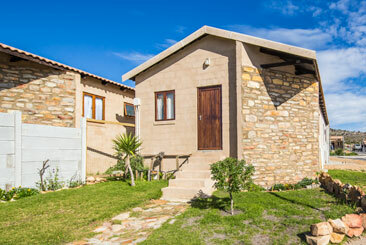 The Finance Linked Individual Subsidy Programme (FLISP) programme is a housing subsidy for first-time home buyers to assist with purchasing a home. What is the Finance Linked Individual Subsidy Programme (FLISP)? The FLISP programme is a housing subsidy for first-time home buyers to assist with purchasing a home. The subsidy is paid to your bank or financial institution and will reduce your monthly loan instalments, making it more affordable to purchase a home. Households with an income between R3 501 to R22 000 may qualify for the FLISP subsidy if they meet all the criteria. What is the qualification criteria to apply for a FLISP subsidy? You earn between R3 501 to R22 000. You are a South African citizen or have permanent residency in South Africa. You have not received a government housing subsidy before. You have not owned fixed residential property before. You are competent to contract - over 18 years. You are married or cohabiting. You are single with financial dependents. If an applicant qualifies for the FLISP subsidy – what can it be used for? Purchase an existing residential property for the first time. Build a new house with the assistance of a builder registered with the NHBRC, on a serviced residential stand (ie. plot) that you already own. What is the subsidy amount that one can qualify for? The subsidy amount depends on the income of the applicant and ranges between R27 960 – R121 626. Download the brochure to view the sliding scale to determine the subsidy for different income brackets. How do I apply for the Finance Linked Individual Subsidy Programme (FLISP)? Once your home loan is approved, a FLISP application can be discussed with your bank, financial institution, the Department of Human Settlements, or your nearest municipality. Interested applicants can also visit or call the Department of Human Settlements’ Helpdesk. NOTE: If the home loan application is declined by the bank, then you will not be able to access the Finance Linked Individual Subsidy Programme (FLISP). To apply for FLISP, you must be in the process of purchasing a property. You can also apply if the property was registered on your name in the past 12 months. Any applications after this window-period are currently not considered. Who to contact to check the status of your subsidy application? The Department’s Helpdesk can be contacted directly for further assistance or details regarding the status on your subsidy application. This can be done either telephonically or through an e-mail. Download the FLISP Application Form. Download the FLISP scale brochure.